October 19, 2010 by Fr. C.
St. Alban’s recently recognized the members of its Altar Guild–those who quietly serve Christ in the preparation of His altar for the various Masses and services held here at the Pro-Cathedral. Please pray for them as they undertake this holy work. 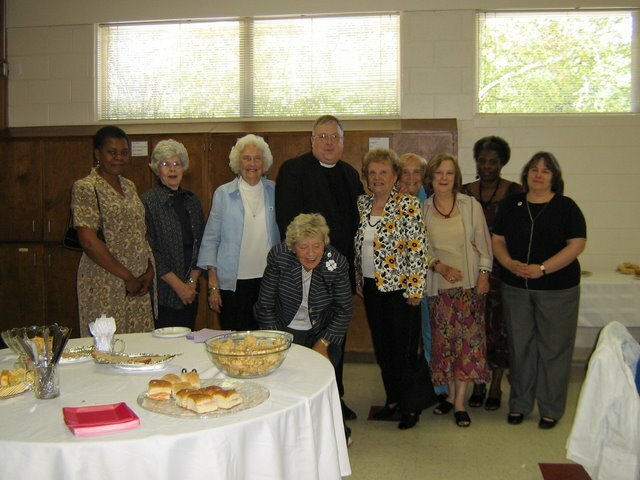 O Lord Jesus Christ, who didst accept the ministry of faithful women during your earthly life; We pray you to accept and bless the work that this altar guild undertakes in the care of your sanctuary. Grant us a spirit of reverence for your house and worship, your Word and Sacraments, and preserve in purity and holiness our own souls and bodies as living temples of Your presence.